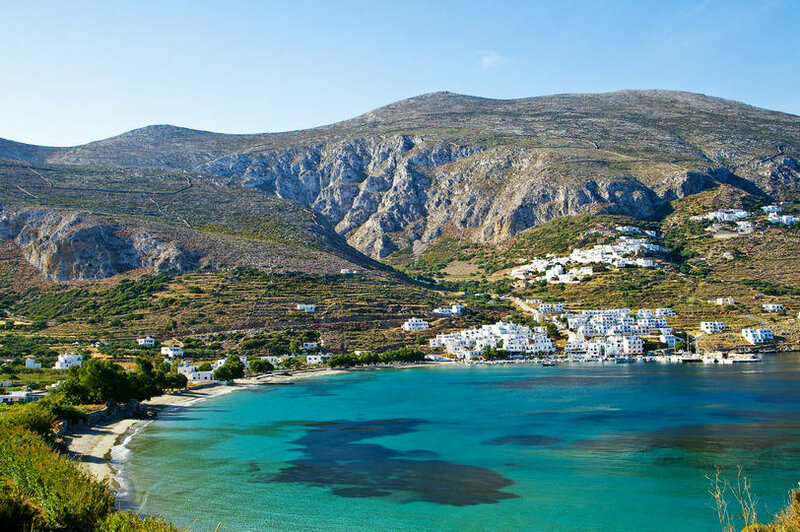 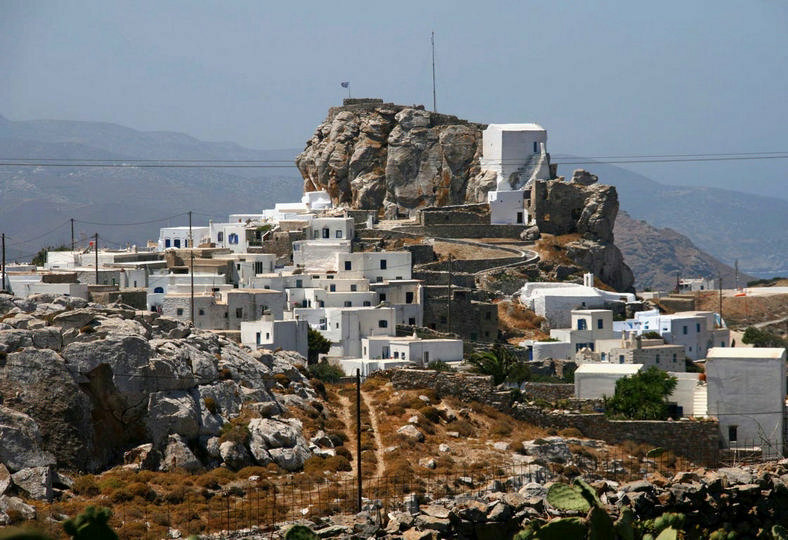 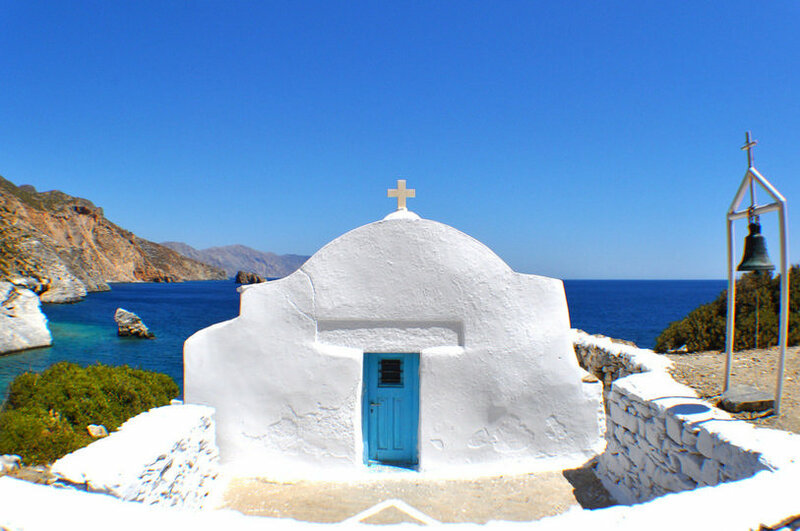 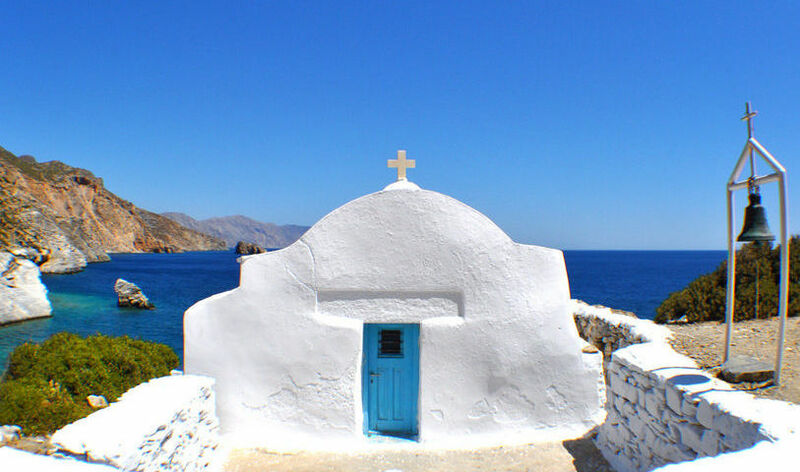 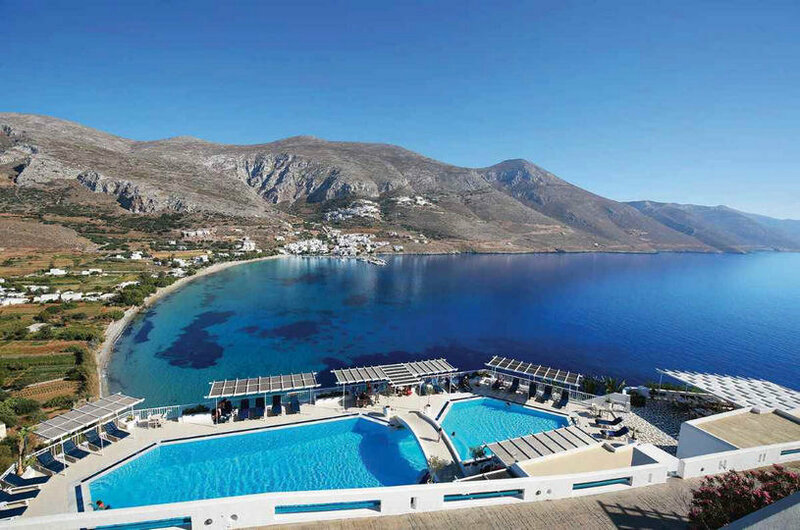 Amorgos , the eastern island of the Cyclades , with its oblong shape seems to protect the small Cyclades. 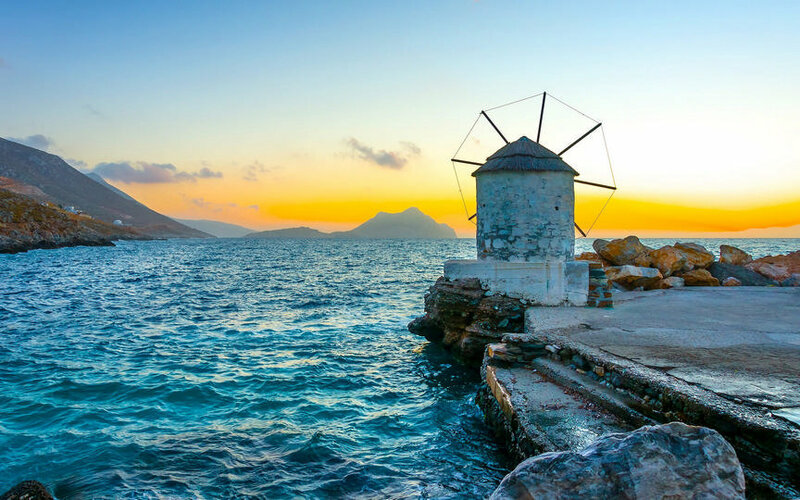 It stands proudly in the center of the southern Aegean Sea forming the crossroad where the north wind meets the south . 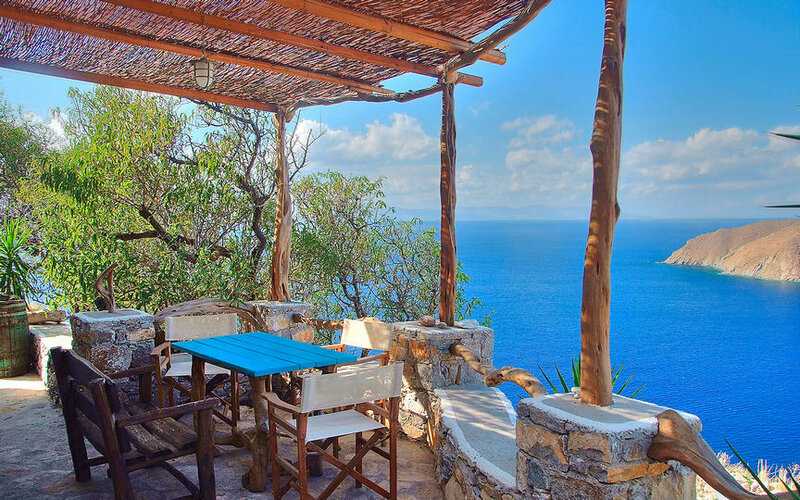 The mountainous landscape, the traditional way of living and the ” blue ” of the sea will charm the visitor. 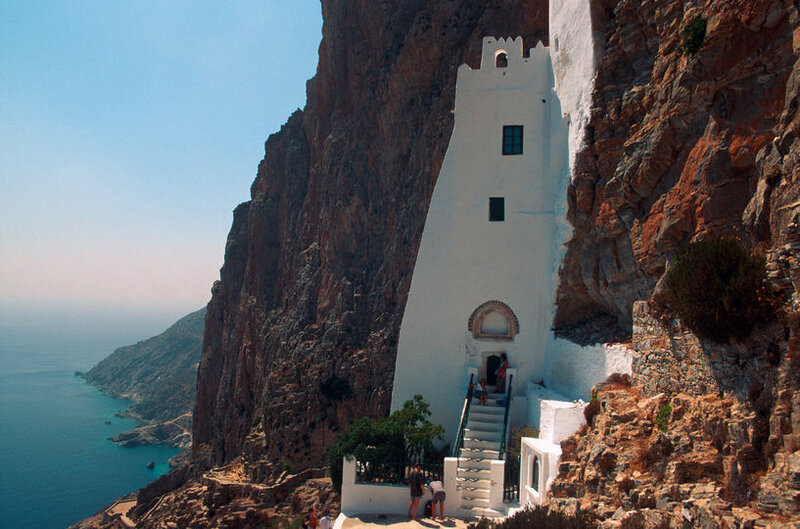 Worth visiting are the beautiful town and the unique monastery Chozoviotissa.